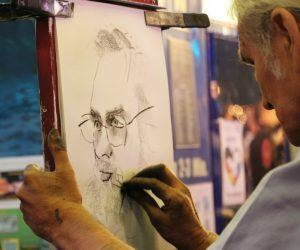 Artists of all styles and genres agree that drawing is the most fundamental skill in visual art – it is the best way to introduce the underlying principles needed for all genres and mediums. Furthermore, it is a valuable skill in its own right: Drawing is a great way to display a concept for potential development – whether artwork or technological innovation. Therefore, drawing tutorials for beginners are perfect for both aspiring artists and people looking to gain a practical skill. All drawing tutorials for beginners should cover basic elements of image creation, such as perspective, form, lighting and shadows, lines, value scale and contrast, contour lines, shapes, space, composition, texture, and center of gravity. Ultimately, the goal is to learn how to make a 2-dimension image that appears 3-dimensional. Of course, once you have the basics, you can consider different genres and styles: many drawers quickly gravitate to animation and comic drawing. Others specialize in human models, still life, architecture, or landscapes; those who are interested in learning to draw for technical reasons might especially want to acquire the ability to draw what is in their head and/or be able to draw a photographed image. Form is a general term for techniques to portray a 3-dimensional image on a 2-dimensional medium. It involves perspective – the portrayal of vanishing points, which give a sense of relative distance between objects in a 2D image – and composition, the position of objects in relation to one another in an image. While most shapes are not straight lines or geometric shapes, line and shape drawing is a hugely important and basic aspect of drawing: Contour lines are used to establish perspective and proportion; line thickness is a critical element of image creation; and drawers render more complicated, organic shapes by dividing objects into geometric shapes. Light is how we see anything at all, and accordingly, light plays a significant role in drawing. Highlighting refers to the portrayal of regions that light hits intensely, even to the point that there is some degree of reflection (depending on the nature of the object). Shadowing is the accurate portrayal of shadows of varying intensity – areas that are entirely unlit, partly shaded, or only slightly denied of light. Color as we see it is really just reflected light, and so colors and textures appear different in different lighting. Some forms of drawing do involve colors, so learning how to use primary, secondary, and tertiary colors – and color theory in general – is helpful. That said, value is usually more relevant than color in drawing. Value is essentially how light or dark in color an object appears – this still applies in black-and-white work. Texture is usually considered a tactile characteristic but we also perceive it visually to some extent and there is a technique to correctly portraying it. Without correctly presenting the way various materials appear at different distances, look in contrast to one another, and reflect light – you cannot create a compelling drawing. Something else you may not readily consider if you are a beginner is center of gravity: An object’s center of gravity is the point where its weight is concentrated. You need to be aware of this when drawing, because it is easy to fall into the trap of drawing objects that appear to be floating or leaning precariously when you do not mean for them to look this way. Udemy is an education site that has engaging drawing tutorials for beginners, among many other varied learning opportunities. The site features in-demand courses such as those in technology, business, and IT; there are also career development videos and courses to help you succeed in any business sector. 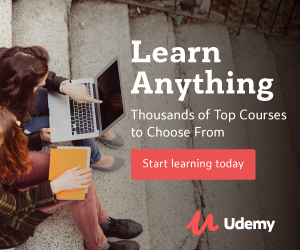 If your career goals are more creative or intellectual in nature, note that Udemy also offers courses in languages, architecture, music, medicine, religion, and more. Udemy really is a whole-self-improvement hub: There are courses to help you improve your health, culinary skills, personal finances, fashion sense, home DIY skills, and life-saving skills. There are even courses for video gamers. It is no wonder that many famous businesses choose to buy Udemy subscriptions for their workers – it is a great way to both upskill and engage employees and employers alike. In this way, Udemy is ideal for people with a variety of interests. That said, the courses tend to be practical in nature. The courses are designed to impart skills in an efficient way – if you are engaging with the material, you should notice that you are functioning on a higher level as you go. Udemy awards you a certificate of completion that you can share on, say, LinkedIn; therefore, in addition to having skills, you can also advertise them to relevant people and organizations, too. Another plus is that all of this is very manageably priced (especially when you consider that there is no transportation time or cost), unlike most normal college courses. If you are a total beginner at drawing and you are not entirely sure where you want to go with your artistic education, the best Udemy course to start with is The Art & Science of Drawing/Basic Skills. This course is only a few hours total of video material with a few downloadable resources, but it will give you the basics, such as dividing more complex objects into basic shapes so that they are manageable to draw. This course is also ideal for those who have some dabbling experience but want to understand the theory behind effective drawing and take their skills to the next level. Another great course for the total beginner is The Secrets to Drawing. This course is relatively short in video length (just a few hours) but has almost 30 downloadable resources, so it is somewhat more detailed than the beginner course above and offers more drawing projects. Reviewers remark that this course makes a great refresher course for those who have some experience but have lost the skill. This course and the one above are fairly similar: To choose between the two, peruse the course descriptions, reviews, and instructors to decide which one feels more right for you. If you are a beginner or intermediate drawer who wants to get to the advanced or professional level, look at The Ultimate Drawing Course – Beginner to Advanced. This course is more comprehensive than the two above, but is still suitable for a total beginner. It covers, in detail, all general drawing skills (form, lines, human face and figure, composition, value, etc.) and then gives introductory instruction for more specific types of drawing: the human figure, still life, and animation. 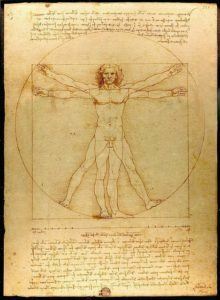 If you have already taken a basic course or you already have drawing experience but would like to get better at drawing real (or imagined) human beings, consider Anatomy for Figure Drawing: Mastering the Human Figure. This extensive course covers the intricate but artistically relevant details of how the human body works: how and where fat tends to build; where muscles attach to bone; how muscles shift as the body goes to different positions; the skeleton’s impact on external features; male versus female bodies; and the nature of hands, feet, and breasts. This course is suitable for both those who want to draw a life model with paper and pencil and those who want to make cartoons on a computer art program. If animation is really your passion, look at Character Art School: Complete Character Drawing Course. This extensive course covers both paper-and-pencil work and computer art projects, including digital 3D art. It starts with the basics and then goes into how to draw body parts (sort of an abbreviated version of the course above). This course also covers techniques to draw images from out of the mind – very relevant to the inventive drawer. It will leave you fully prepared to draw comic book characters of different genres, including Manga – along with animated film or gaming characters, too. You might even be able to invent your own totally unique comic or animated characters. If you successfully complete this course and practice, you will be a professional character drawer. Advertisers need to be able to present an image or series of images to display a concept so that everyone involved can, first, decide whether this is something they want to do and, secondly, pursue the project in a clear-headed way. A similar idea applies to other creative or innovative projects – this practical use of illustrations is known as concept art. Consider, if you are trying to create something with a group of people and you cannot seem to get them on the same page, perhaps illustrations would help. In this way, drawing is not just an artsy hobby – it is a valuable skill, perhaps even in some business settings. While computer scientists are the ones programming our computer games and cyber activities, visual media like this would not be possible without people who can imagine alternative worlds and characters, and then put them down on paper.